Now, in the last post we hinted at Johnny’s exciting competitions and themes, well you have waited long enough. 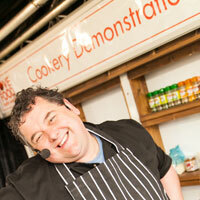 Here are some of Johnny’s exciting and unusual ideas for The Great Notts Show Event. The first little sneak peak he has given us is ‘The Sausage Sling’ saying, it’s going to be made, slung and cooked. That’s all we are allowed to tell you about that one, it is top secret. If you have ever seen Johnny in action before you may have witnessed a ‘Dancing Burger Challenge’ were contestants must dance their way through the burger construction process, the best burger wins…. if you can call them burgers. There will be a competition to invent The Great Notts Banger, which will be sold in Johnny’s shop in Sherwood for a limited time after the show. Sausage history in the making there, speaking of which Johnny keeps kids and adults entertained throughout the day with his knowledge of the history of sausages, whether it be pirate sausages that lasted for months on board ships or inventing new ways to make burgers and sausages with insects, Horrible History style. If that hasn’t made you put Johnny and JT Beedhams at the top of your ‘must see list’ then maybe his BBQ and hog roast could tempt you, he is certainly used to having a big crowd. Johnny’s busy schedule at the show doesn’t stop there, he will also be doing Kitchen Demos, rumour has it these were packed last year so make sure you get in early! Have you taken part in any of Johnny’s challenges? 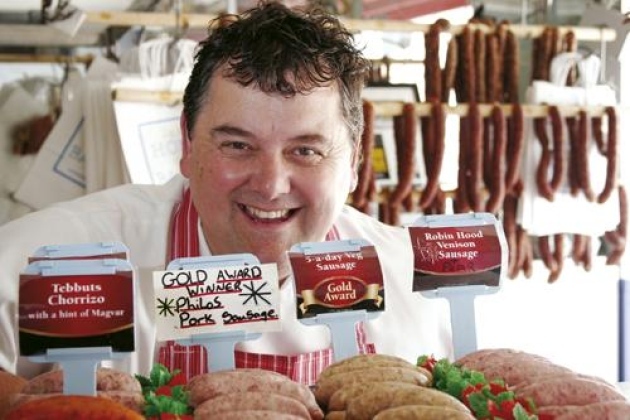 Do you have any ideas for The Great Notts Sausage? Let us know in the comments or any of the social media below.